Alhamdulillaah, I’m about to head out from work, and I’m going to have to disconnect my torrent seeds that have been running all day – at least until I get home, in shaaʾ Allaah. 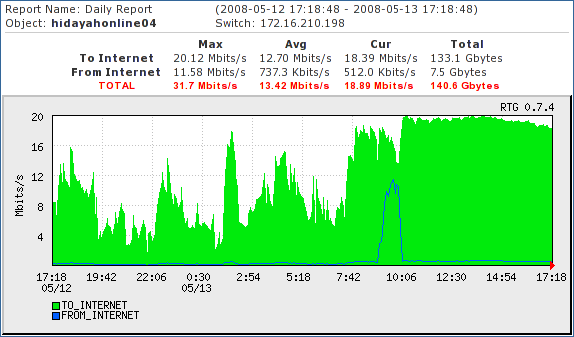 Here are the graphical bandwidth charts showing the stats of the seeds from all day. 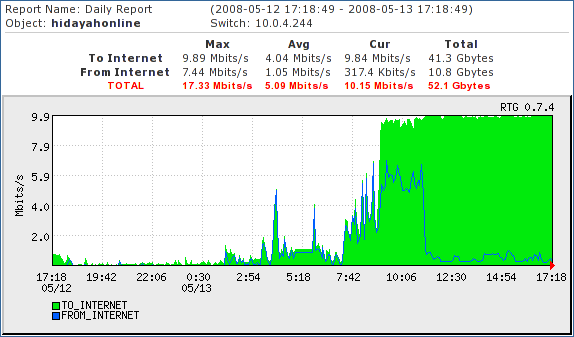 Although the audioislam server has twice the tubeage of the hidayahonline server, it is also the one more heavily loaded due to AudioIslam.com. So, they both ended-up serving around 32GB of data to the Tubes before I disconnected them for the day. Previous Post - Previous post: Fedora 9 is gold!